If your business has any form of online presence, then it is highly likely that cybersecurity is among your top worries. As business technology continues to advance, cyber attacks are becoming more sophisticated and rampant. Most cyber attacks happening today are hard to detect let alone eliminate and usually come at huge costs. According to Microsoft, a data breach will cost the average company a whopping $3.8 million. Another study by Symantec shows that 43 percent of cyber attacks target small businesses. Whether you are running a corporation or a small business, it is a no-brainer that you need to have a robust cybersecurity strategy. Here are the top reasons as to why cybersecurity should be among your top business priorities. Studies show that 60% of small and medium enterprises that suffer a cyber attack fail in 6 months. If your business involves collecting customers' data such as bank details and social security numbers, it is paramount that you have a robust cybersecurity strategy. This is because, in the event of hacking, this data is likely to be stolen and used to blackmail you and your customers. In most instances, when this data falls on the hands of attackers, they are likely to ask for ransom from you not to expose it online. According to Cybersecurity Ventures, the global damage cost as a result of ransomware will hit $11.5 billion by 2019. Hackers can also use the data to steal from your clients. You are likely to face endless lawsuits from your clients when they discover that you have exposed them to hackers. There are numerous cases of businesses that have gone bankrupt as a result of substantial damage costs as a result of a data breach. A cyber attack tarnishes your business reputation. The costs of cyber attacks are not only in monetary form but can also translate to a loss of business. Most customers are likely to avoid doing business with you if they get wind that your business has ever been a victim of cyber attack. According to a 2014 survey by Deloitte, cybersecurity is among the top drivers of reputation risk. A cyber attack is highly likely to spark fear and push away existing and potential customers. Recovering from a cybersecurity incident requires enormous investment not only in data recovery but also in assuring customers that the event has been addressed and will not occur again. This is if your business is lucky to survive after the lawsuits and regulatory pressures. Gone are the days when cybersecurity was a topic to be discussed by the IT department only. The customer of today is highly enlightened and ready to ask questions on the measures you are implementing to safeguard their data. Having a cybersecurity strategy in place goes a long way in assuring existing and potential customers that you care about their privacy and security. Today, businesses must treat cybersecurity as a customer service issue if they are to be trusted with critical data. Proper customer data management not only entails implementing an effective cybersecurity strategy but also informing customers about how their data is stored and used. When a virus attacks your system, it can deny you access to vital functions. Besides, it can also corrupt critical files such as your books of accounting and related files. The effect can be costly to manage, and in some cases, the only remedy would be re-imaging affected hard drives. Some viruses also reduce the speeds of your business computers, and can even stop them from running. Getting them back into full functionality, will not only take time but also require considerable resources regarding skills and money. Cybersecurity awareness is the first step in ensuring an effective strategy. You need to educate your team about the importance of cybersecurity and safe practices. Remember that most cyber attacks begin with a simple activity such as opening a suspicious email or clicking on a link in social media. When your employees are regularly reminded of safe practices, they are likely to approach all online interactions with caution, therefore, saving you the headache of cyber attacks. Some of the critical areas to address with your team include types of cyber attacks and preventive measures such as having strong passwords, software patching and timely reporting in the event of a possible attack. You should also consider implementing a whistleblower program to encourage employees to report when another employee willingly exposes your company to cyber threats. You also need to invest in crucial cybersecurity tools such as antivirus and VPNs. A VPN is used to mask your IP address and therefore prevent hackers from accessing your network. 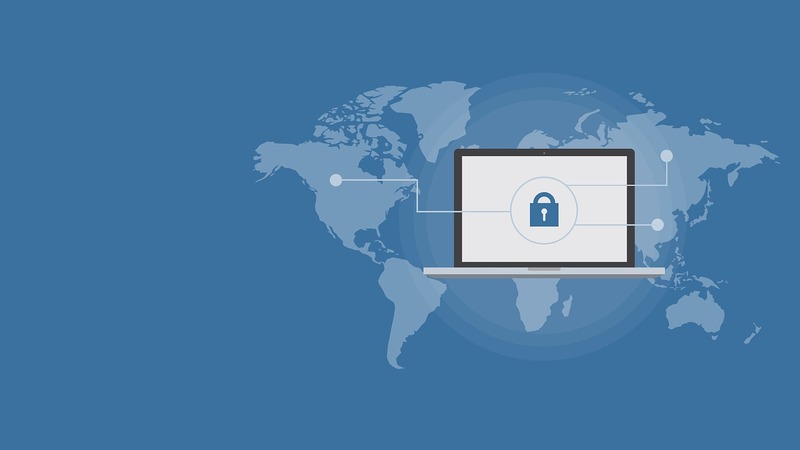 Read more from cybersecurity specialists vpnpro.com in order to find a comprehensive review of the best VPNs for your business.